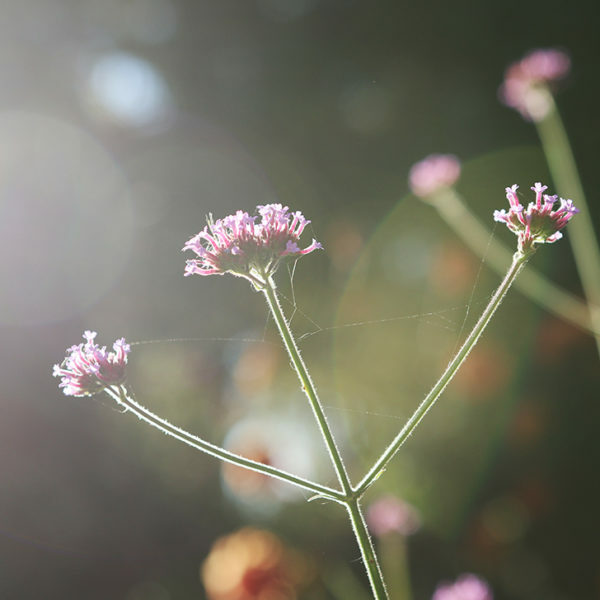 There aren’t a lot of opportunities to add really special plants to established gardens. Special plants require very specific placement so they can be seen and appreciated, and surrounded by a cast of supporting characters that don’t threaten to try to upstage the star. 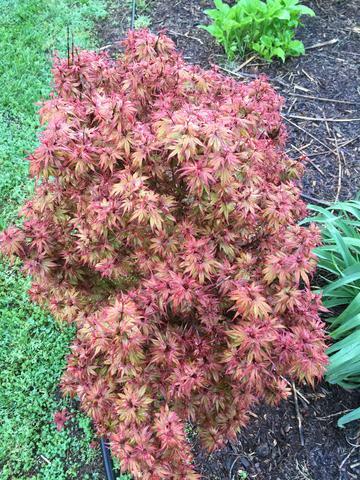 When I finally decided in fall to attempt a rescue mission on a declining dwarf Japanese maple I created either a problem or an opportunity. That tree (Acer palmatum dissectum ‘Orangeola’) was in one of the most noticeable spots in the garden, off the patio and at the turn from the well trodden path to the deck and back door. This little maple has been in decline in one of the most prominent places in the garden, so I transplanted it to a container in fall and I’m now looking for a replacement. One of my winter tasks is finding a new tree, shrub or plant for that area, so I’ve been amassing a list of small to moderate trees and shrubs that might be special enough to carry a focal point in a garden. 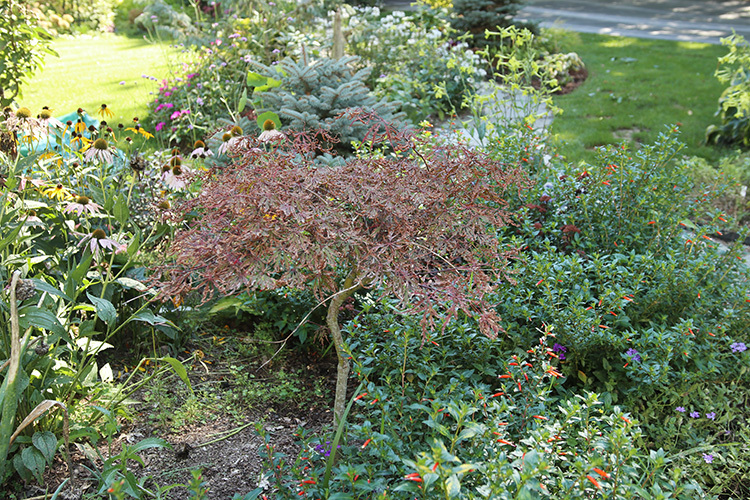 This is one of the smallest flowering dogwoods, slowly growing to just 8 feet tall and 6 feet wide. With careful pruning you could restrain the growth further. I consider this to have four-season interest, with white flowers in spring, red fruit in summer, burgundy fall color and an interesting shape for winter. If you’re into dogwoods, another to consider is Cornus kousa ‘Akatsuki’, a stunning variegated variety with pink flowers that grows a bit taller and narrower than ‘Little Poncho’. There are so many wonderful hardy magnolias that are on the smaller side now, and this one just jumps out as an excellent one. Eight to 10 feet wide and 5 to 7 feet wide in a decade or so, ‘Lady Woodsman’ has stunning green, lavender and ivory flowers and it’s hardy down to zone 4. The show with magnolias is in spring, when they will blow anything else in your yard out of the water, but after that it’s pretty much just green leaves. You can’t have it all! 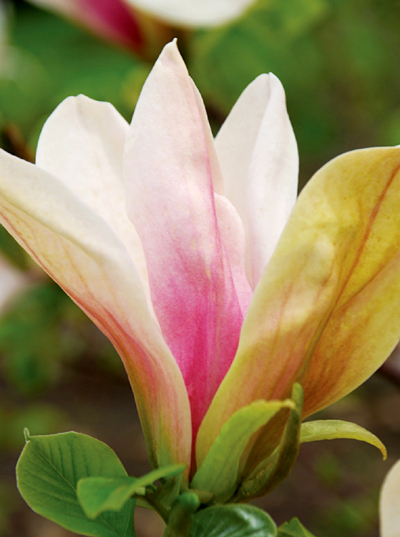 Unless you end up at a nursery that specializes in magnolias or you’re willing to order a smaller tree online, you’re probably better off being a little open minded on varieties. Just make sure to check the size information before you buy. Small, tightly packed leaves take on a blueish hue in mid-summer on ‘Gnome’. ‘Gnome’ taking on its fall color. Beware: One you go down the Ginkgo rabbit hole you rarely emerge without owning several. They are such cool plants. I’m picking ‘Gnome’ as a choice here because I happen to have it and love it (and judging by what I’ve read online, I’m not alone), but there are many wonderful small varieties. ‘Gnome’ gets to be about 4 feet tall and maybe 3 feet wide, but it’s densely branched, so it gets sort of a puffy look (like a perfect cloud, but green and leafy … or something like that). It is fascinating in spring, when the buds swell like little peas on branches, followed by a great show of foliage. In fall it turns gold and then, just when you notice how pretty it is, it will drop its leaves in a matter of minutes. It happens so quickly that I’ve never seen it happen, just seen the aftermath. 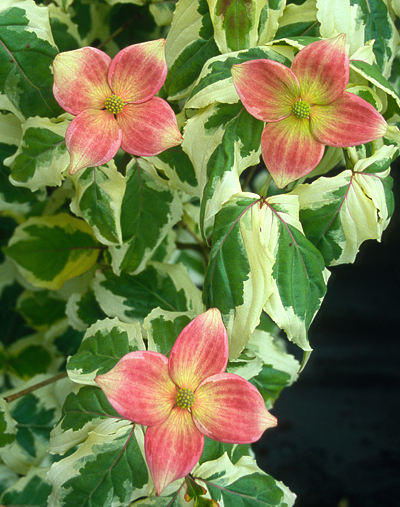 If you’re looking for something flashier, check out some of the variegated varieties including the rather stunning ‘White Lightning’. 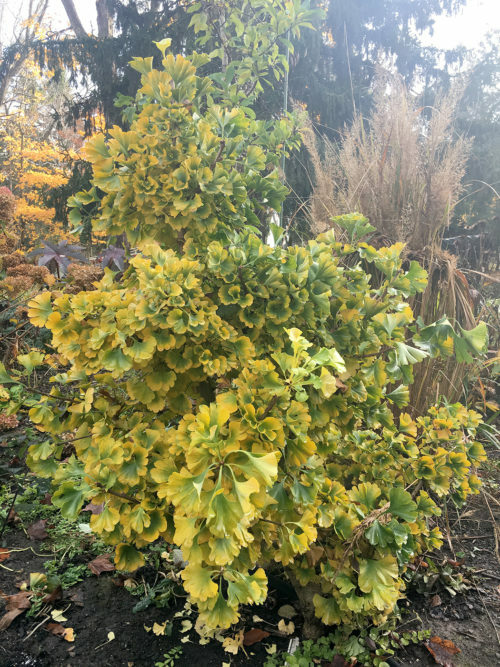 I’m cheating a little bit by not being more specific, but there are so many amazing dwarf evergreens that would make wonderful focal points in the garden that it would be impossible for me to choose one that would work in a wide range of gardens. Look for interesting forms, variegated foliage, great cones or even oddities like the curly needles of Pinus strobus ‘Tiny Kurls’, above. 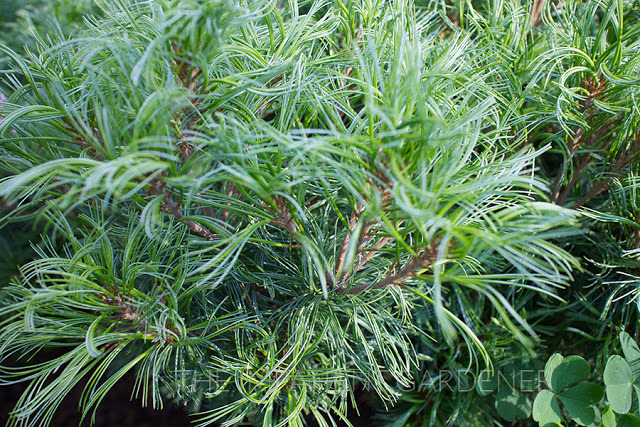 The only note of caution with evergreens is that when you see the size on the label, that’s usually a size when they are 10 years old, but they keep growing after that. 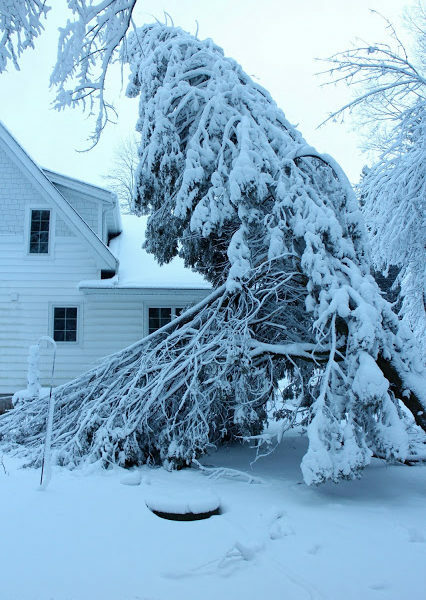 And unlike many of the other trees on this list, you can’t really prune them (attractively, at least). Oh the irony. 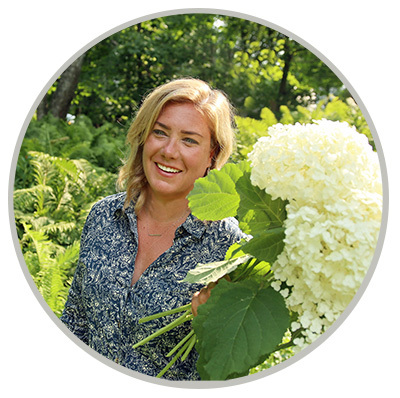 This post was inspired by my search for a new focal point plant for a special spot in my garden since I had to move the ‘Orangeola’ Japanese maple and I’m about to tell you to consider Japanese maples for the same type of situation. The fact is that a lot of maples make amazing focal points, and will be particularly good in locations with more shade than many of the other options here will like. 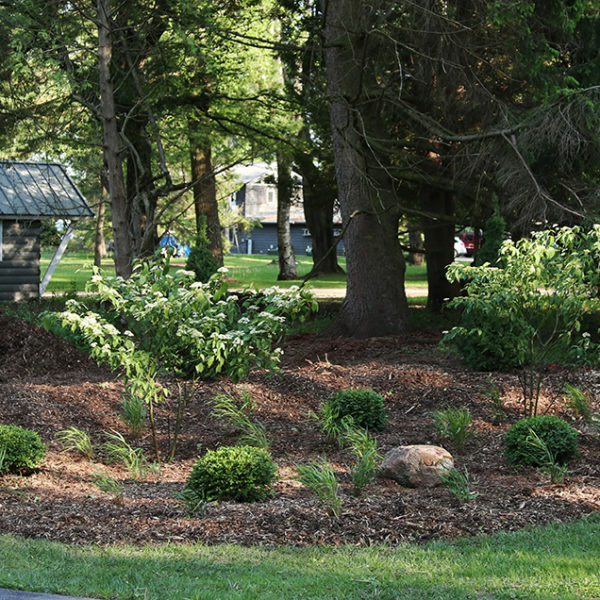 Since the idea is to have something really special, look for something a little different in form or color than you can see in every other yard. 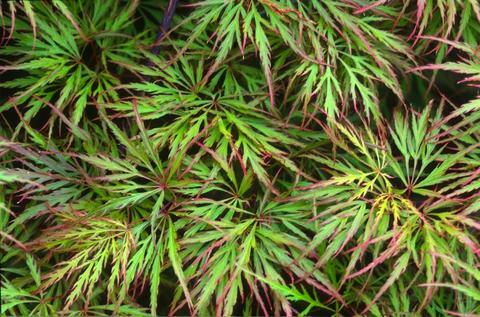 Acer palmatum ‘Kuro Hime’ has two flushes of leaves in an array of colors all tightly packed on a diminutive tree. 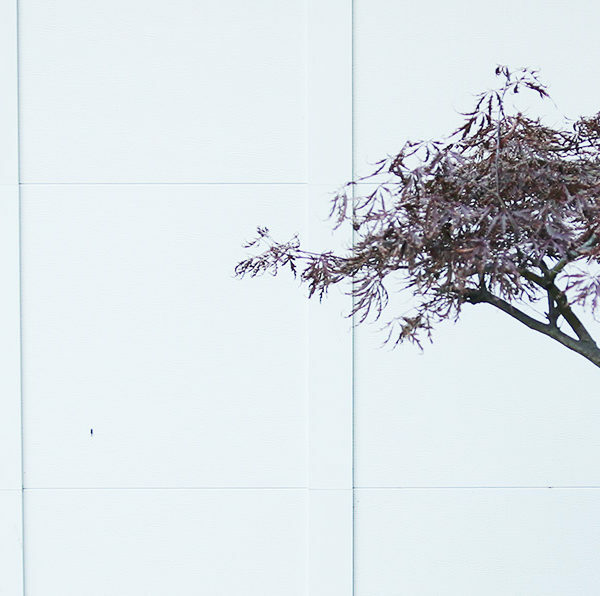 Weeping trees are always eye-catching in a garden and if you like that form, a weeping Japanese maple such as Acer palmatum ‘Shu Shidare’ would be truly special. Opportunities to plant really special plants don’t come along often. Take your time and pick the right one, and maybe even plan to spend a little more than you normally would, and enjoy it for years to come. 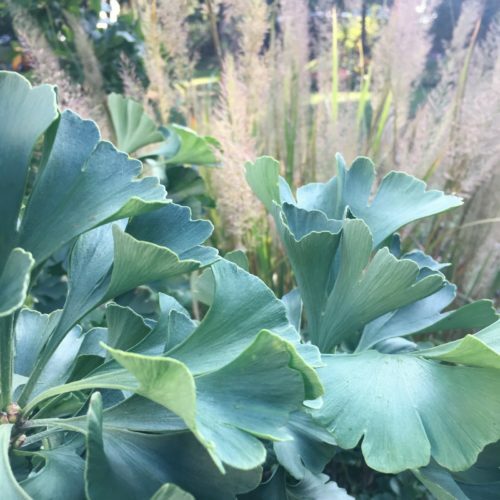 You have stirred up a bit of plant lust. I love those small conifers. As you say there are so many to admire. I want them all. 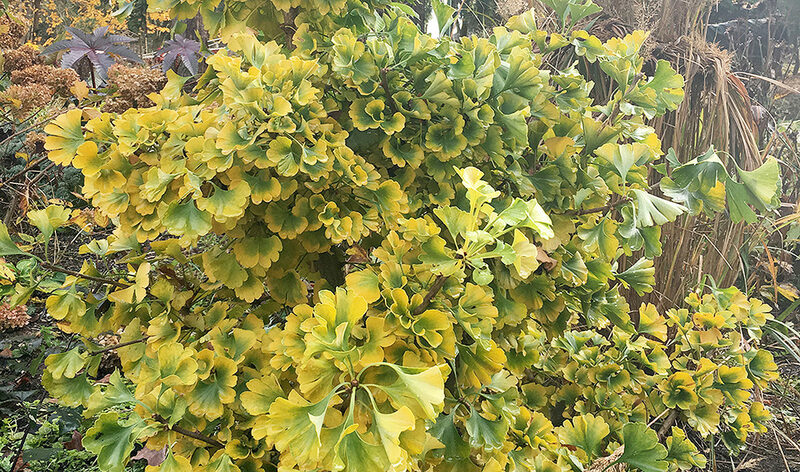 I love that ginkgo – I actually might be able to find a place for such a beauty. 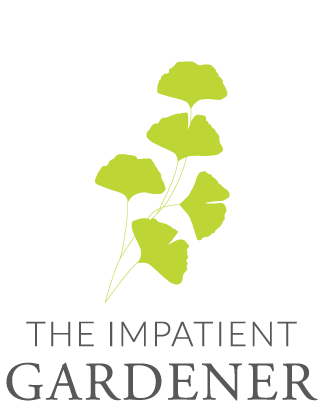 Are you able to find these specimen plants locally or do you mail order? What are some of the companies that you like to buy from? While I have no personal experience, I’ve friends who have been happy with their orders from https://mrmaple.com/. I guess I have been lucky, my Orangeola, which I purchased at the Morton Arboretum plant sale many years ago, has done extremely well. It is next to a wooden fence, so perhaps that protects it from winds. Really stunning when it leafs out. I so wish there was a nursery close to me with a great selection of special plants, but alas, I’ve not found one yet. Therefore I end up ordering for such things when I need to (although I do a fair amount of calling around to local garden centers first just in case). I have purchased three trees from Whitman Farms in Oregon (run by the most wonderful woman named Lucille). All have been excellent. Klehm’s Song Sparrow Nursery has amazing selection, but since they are strictly mail order, they rarely have plants of great size. (They do have a one day each spring where you can shop there.) 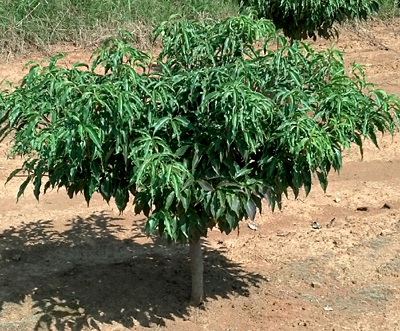 Several years ago I ordered a great ‘Venus’ dogwood from Rare Find Nursery and that is a spectacular tree. I’ve not ordered from Mr. Maple but I like what I see there. My Orangeola has always been a sad case. But she gets a pass because she’s not in a prominent spot. Location, location, location! I have had people with more experience than I do question whether I really have an Orangeola. Maybe that explains its somewhat unimpressive performance. Or maybe the location I had mind in wasn’t so great either!